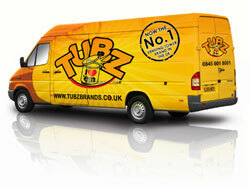 Tubz Brands is committed to providing new franchise opportunities for aspiring business owners, as well as helping our existing vendors expand into new markets with our fantastic range of products and services. This is the way we ensure our clients experience steady and reliable growth, by improving both turnover and profits. Comprehensive Data Research – Listing and detailing types of suitable business locations in your area. Expert Business Marketing – Conducted by our experienced in-house marketing team, who will contact prospective site owners on your behalf. Quality Assurance – All outlets and locations will be subjected to an in-depth 15 point assessment before being deemed suitable for your new vending machine business. 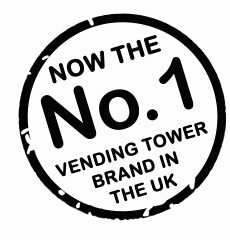 Continuing Support and Advice – We will support you from start to finish, provide you with in-depth advice whilst you check the details of your prospective sites and furnish you with all the necessary equipment when you are ready to install your brand new Vending Towers. Free Corporate Account and Free Delivery – All of our vendors will receive the highest possible level of quality care, which includes free corporate accounts with us and free delivery of your new business franchise equipment. All of our vending packages are fully inclusive, containing everything you will need to begin your own successful vending machine franchise and see cash from day one! 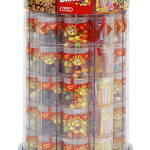 Your package comes with a set number of vending towers, stands, sites, sticker sets and boxes of stock which retail at a corresponding value for each package. We also include, at no extra cost to you, T-shirts, invoice pads, sale flyers and brochures. To ensure a professional look when meeting your new customers. Return on Your Investment in Under 12 Months! Tubz Brands is dedicated to providing the best quality equipment, products and support to ensure all our vendors see a return on their initial investment. You will see cash from day one, what could be better and at an average of 20 sales per unit per week you will see a 100% return on your investment in under 12 months! When you invest in a Tubz Brands, you’re also investing in your future.